As you can imagine, we've visited some lovely Venues in our time and Denbies Wine Estate is no exception. 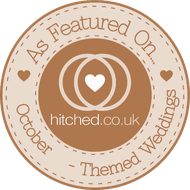 We've always had great feedback from everyone about what a lovely place this for not only Parties and Corporate Events, but also for Weddings and all other occassions. Enjoy the luscious countryside setting of Denbies Wine Estate in Dorking on your big day. This delightful venue comprises a staggering 627 acres of land, with 200 acres of woodland and 265 acres of vineyard. The estate has produced some of the best sparkling and table wines in Europe, winning repeated certification in the annual International Wine Challenge. The Garden Room – positioned between The Conservatory Atrium and the courtyard, it can hold up to 180 guests for a ceremony, 70 guests for a sit down wedding and 350 guests for evening celebrations. The Denbies Suite – a beautiful high-ceilinged room with plenty of natural light, it can accommodate up to 180 guests. The Ranmore Suite – a recently renovated room which overlooks the cloisters courtyard space, it can hold up to 50 guests. The Ranmore Suite is ideal for intimate ceremonies. The Cloisters Courtyard – new licenses outdoors space for up to 80 people. One of the few Surrey venues to offer a space for an outdoor ceremony. The Gallery Restaurant – this licensed restaurant can hold parties for between 20-60 guests and offers incredible panoramic vineyard views. Denbies Cellar – in the heart of the vineyard, Denbies atmospheric wine cellar is a great space for drinks, photo opportunities or intimate wedding breakfasts. The Conservatory Atrium – the biggest wedding breakfast space, the atrium can hold up to 200 seated guests or 350 standing and features tropical plants and a central fountain. If you're looking for a comprehensive conference venue in Surrey, look no further than Denbies Wine Estate. 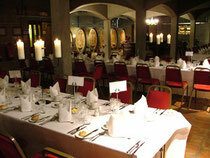 This unique venue has a range of function rooms and facilities to match business requirements big and small. Its meeting rooms can hold between 6-500 delegates while there is the added convenience of unlimited free on-site parking and coach parking, on-site accommodation (in the 4 star Farmhouse Bed & Breakfast), access to local hotels and a dedicated conference team available to assist throughout your event. Denbies Wine Gallery can provide a tailor-made wedding package to suite your budget and tastes, with catering and drinks to be included, examples include a sparkling wine reception followed by a three-course menu. The venue has close connections with a number of respected catering and wedding cake suppliers. So will be happy to introduce you to other wedding professionals you can count on. The choice of Denbies wine on offer has to, of course, be a unique and attractive selling point of this venue too.